Animoto, the company that makes it easy for anyone to create professional marketing videos, launched an integration with Getty Images, a world leader in visual communications. Now fortified with a robust, searchable library of Getty Images content, Animoto is making video marketing accessible to businesses of all sizes regardless of the volume or quality of the assets they may have on hand. “Millions of businesses want to connect online with customers and prospects using video. One of the biggest barriers to entry is a lack of professional-looking assets. 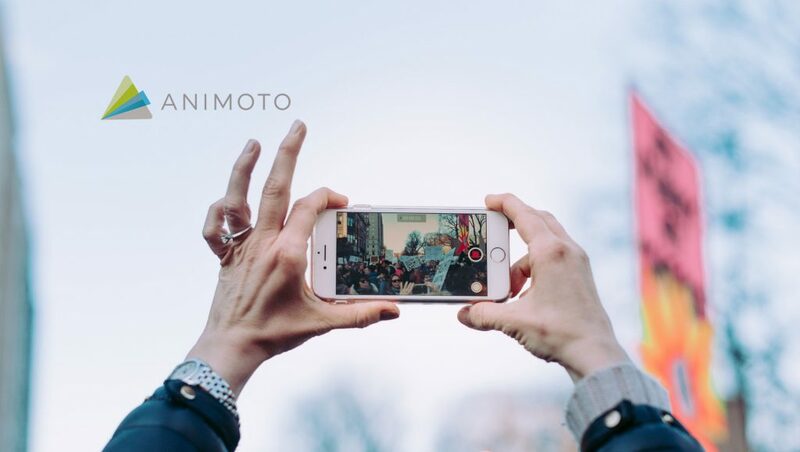 Animoto wants to empower businesses of all sizes to thrive and stand out in today’s video-first world. Getty Images is the top name in creative photography and videography and I’m thrilled to offer their catalog to our customers, seamlessly integrated into our marketing video maker,” said Brad Jefferson, CEO and co-founder of Animoto. “Empowering businesses of all sizes to create powerful, visually engaging marketing content is something both Getty Images and Animoto are committed to doing through this partnership. Many businesses who previously haven’t had the resources to tell their story through video now have a catalog of high-quality, curated creative assets to fuel their video marketing efforts,” said Craig Peters, Chief Operating Officer of Getty Images. This partnership was spurred by the demand to create more marketing videos for social media amongst Animoto’s business customers. When Animoto surveyed their small business customers in June 2018, they uncovered that the majority of respondents were planning on creating more videos for Instagram, Facebook, and YouTube in the next six months than they had in the past six months.